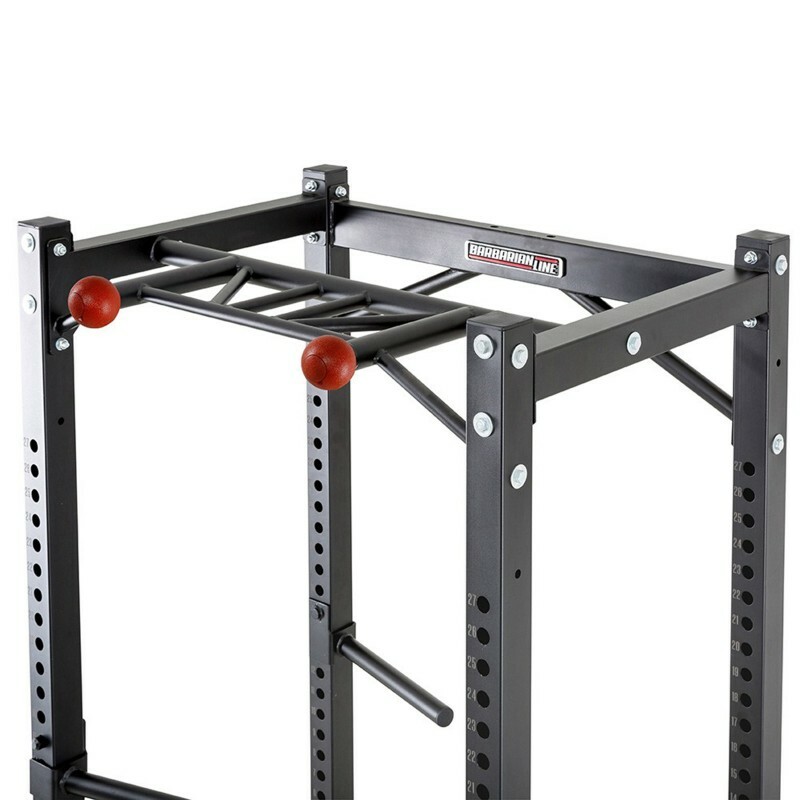 This high-end commercial power rack is one for the serious weight trainer. 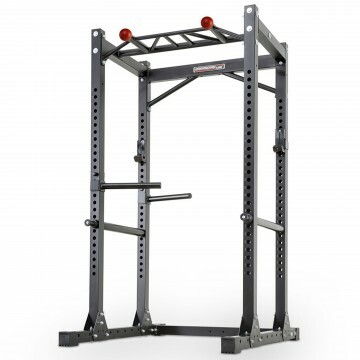 Rated to a total capacity of 650kg, it offers a Lat pulldown / seated row option (great way to save space) & several unique design elements for a great training experience. Superb quality, German engineering also mean it easily survives the wobble test - the thing won't budge! Construction 75mm x 75mm steel tube with a 3mm wall thickness. 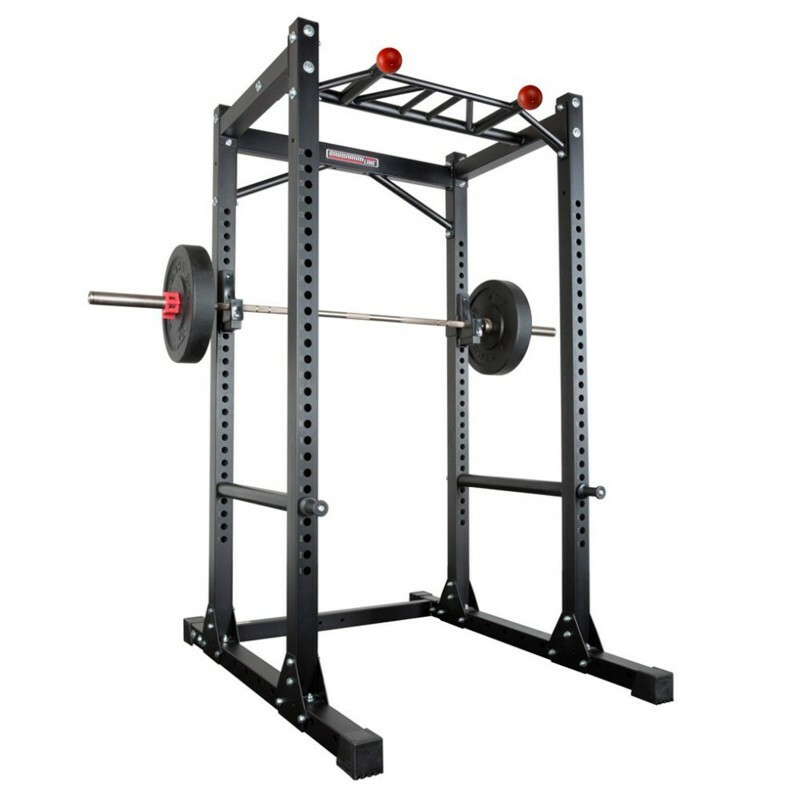 It took us years to add a genuine commercial power rack to our range. As the popularity of CrossFit and strength training had grown, so had the demand for power cages. The number of commercial power racks on the market exploded and we we were late to the party. For good reasons. When you enter a market like this you don't do it half assed. 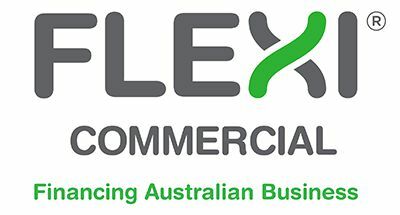 There are plenty of power racks being labelled as commercial, but read their specs (if made available) or warranties and you will get a different picture. So we took our time and scoured the globe, with our journey ending in Germany. 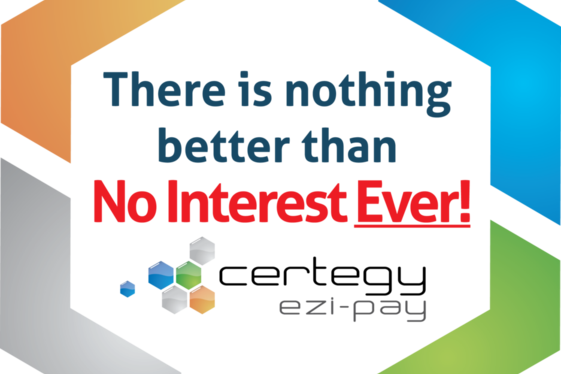 Where quality is king. The last thing we wanted to do was to sell something that was not up to the task of serious training. 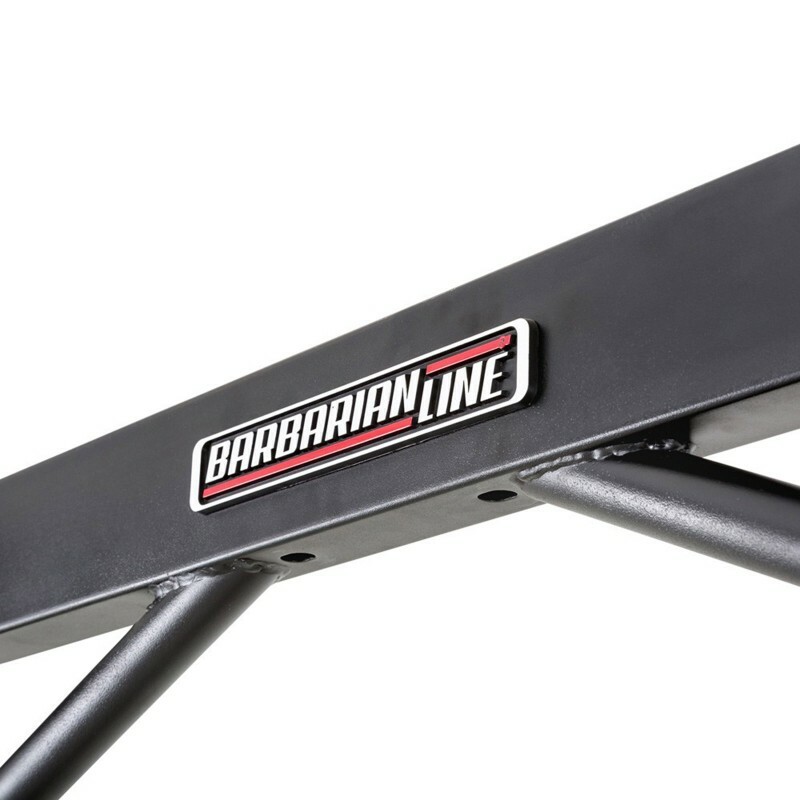 That was years ago now, and the Barbarian rack has become a favourite in Australia, just like it is in the European market, where it has been sold for many, many years. 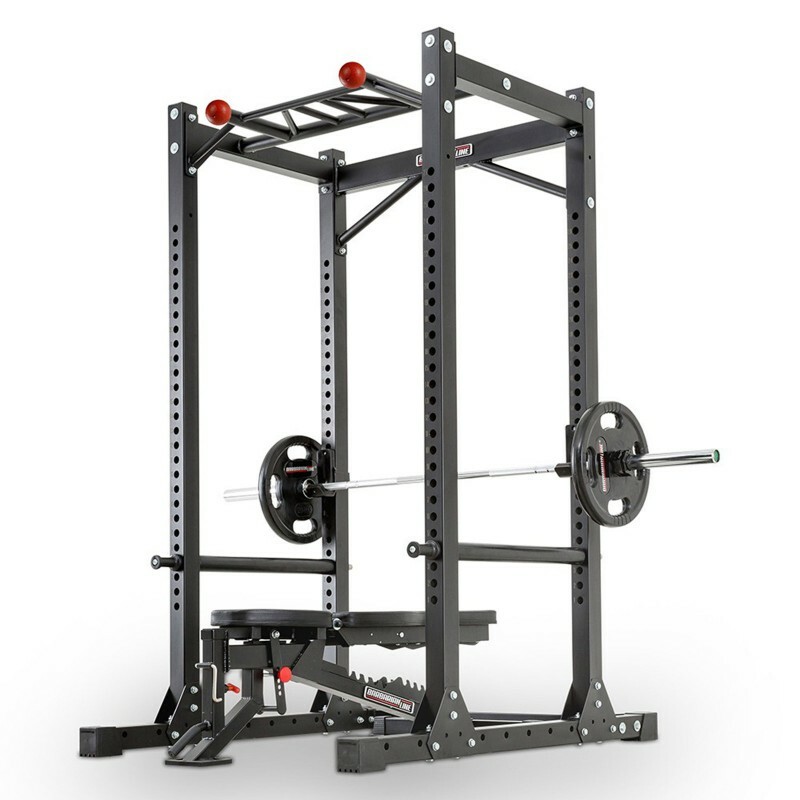 The Barbarian Commercial Power Cage is a perfect example of German design. It has a simple and clean look, packed with many excellent features, but most importantly built like a tank! It doesn't need bolting to the ground, and does not move a millimeter - the construction has been tweaked over the years. 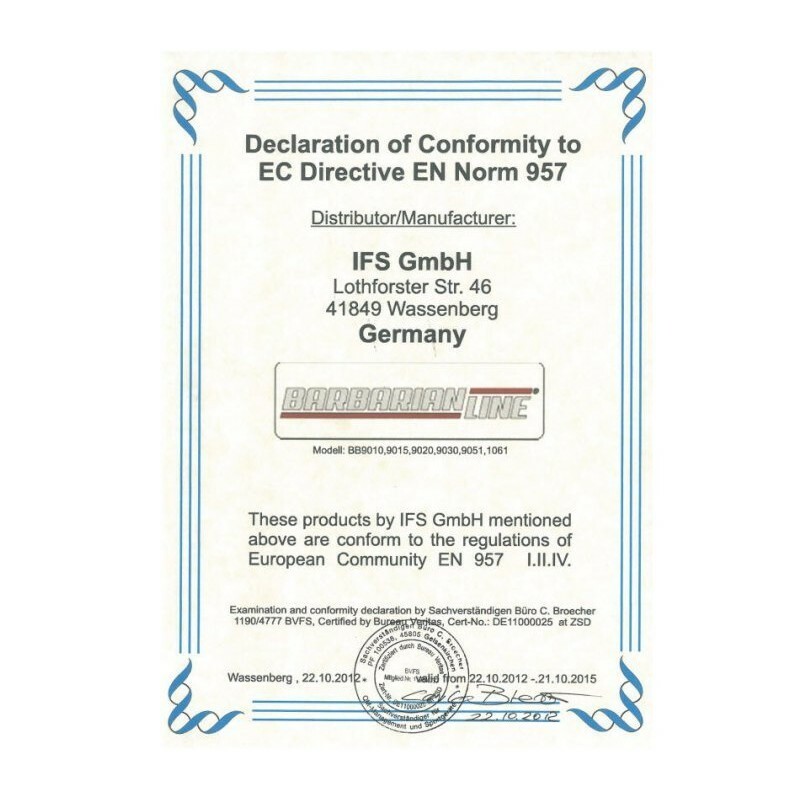 Plus it has been certified for commercial use by European standards. Designed in Germany, by the same people who have developed the ATX range. Frame is made from 75mm x 75mm 11 guage structural steel. 27 adjustment levels spaced 50mm apart. This allows you to get the perfect lift off position for all exercise. They are numbered to make changes a breeze. Adjustable dip handles made from 45mm diameter steel. Massive load capacity of 650kgs. 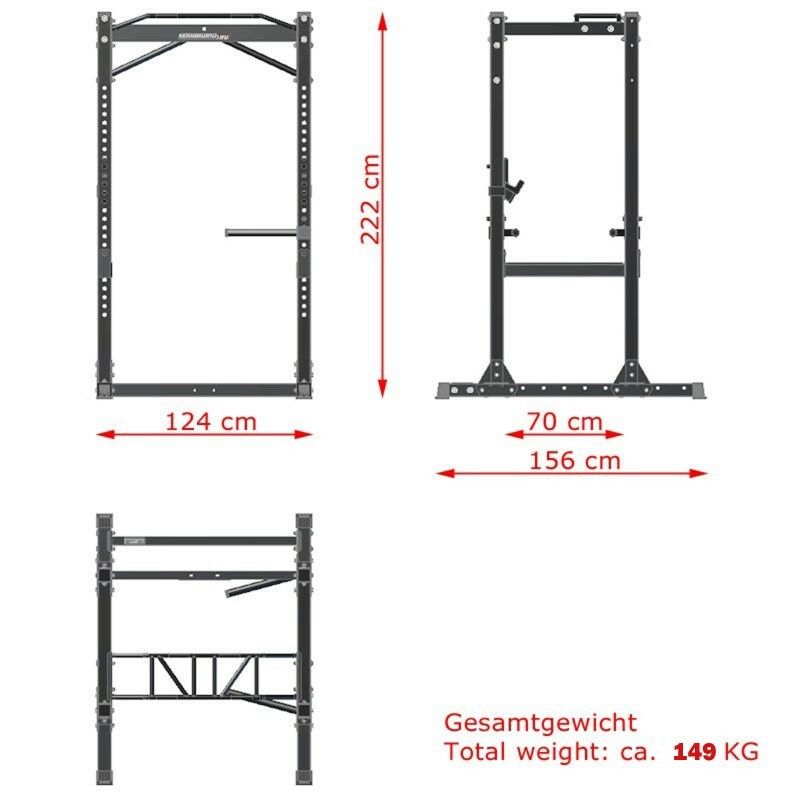 The rack has been tested and certified to European Standard EN957, meaning it can be used for commercial use. This involves not just static tests, but cycle testing to simulate commercial use. Multiple grip position chin up bar. Includes new bomb grips and 38mm fat grip sections. Adjustable saber style spotter bars with a protective sleeve for your barbell. Plus barbell supports at the front. Very compact footprint for a commercial power cage. 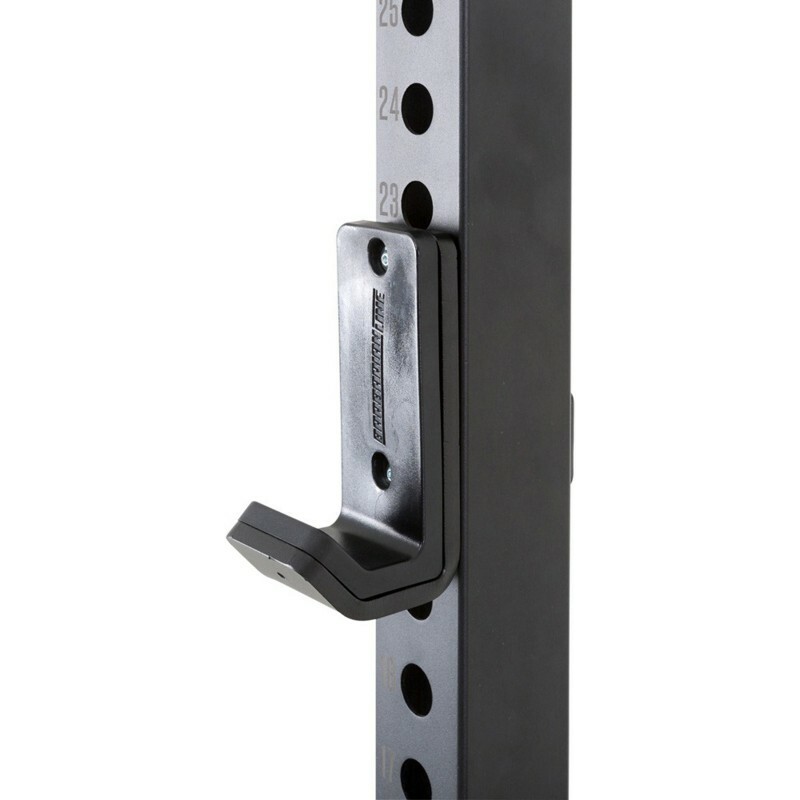 Provision for band pegs for resistance band training (sold separately). 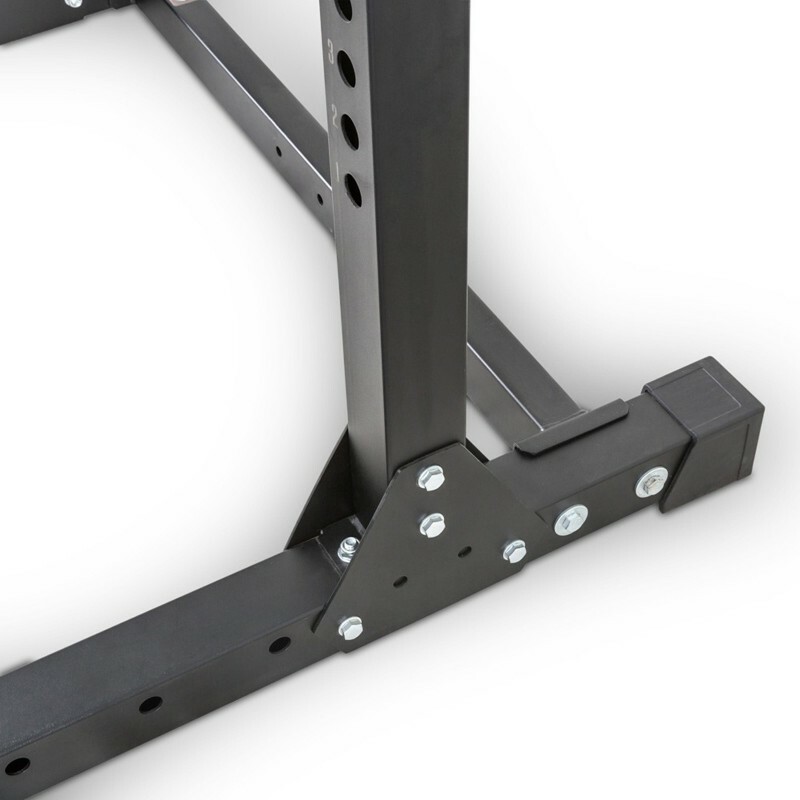 Heavy duty rubber feet for stability - you do not need to bolt the rack to the ground. Backing plates to brace the uprights. Unparalleled stability. 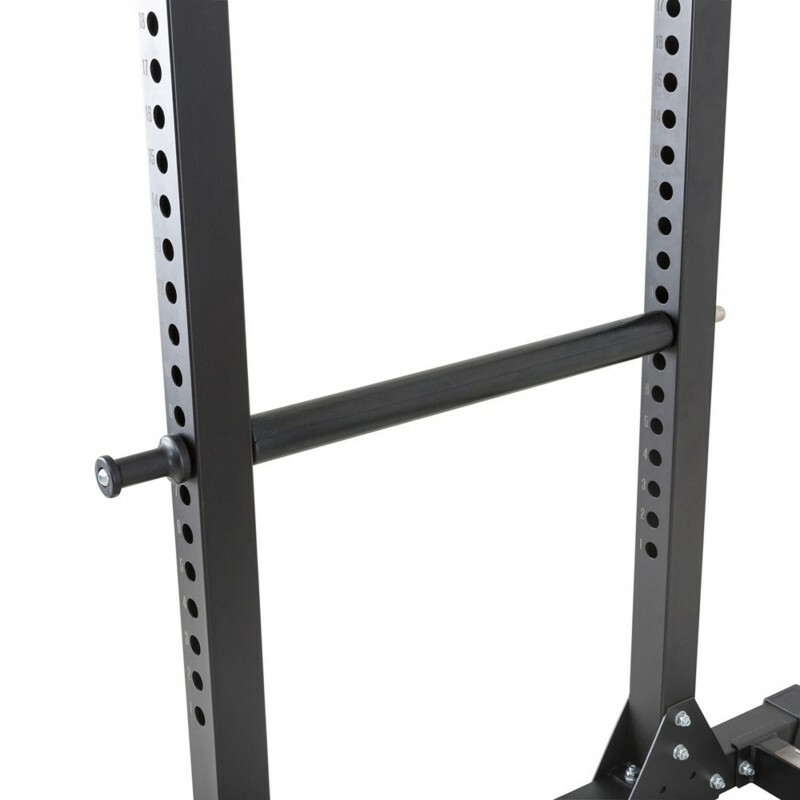 Optional spotter arms can be used on the front of the rack. 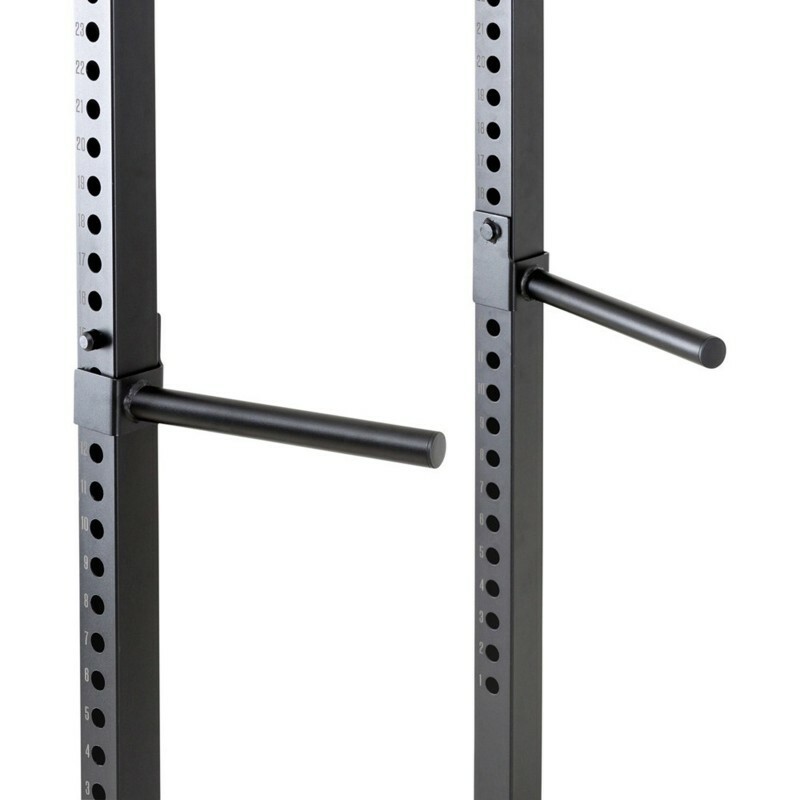 Optional lat pulldown attachment - very rare for a genuine commercial rack. 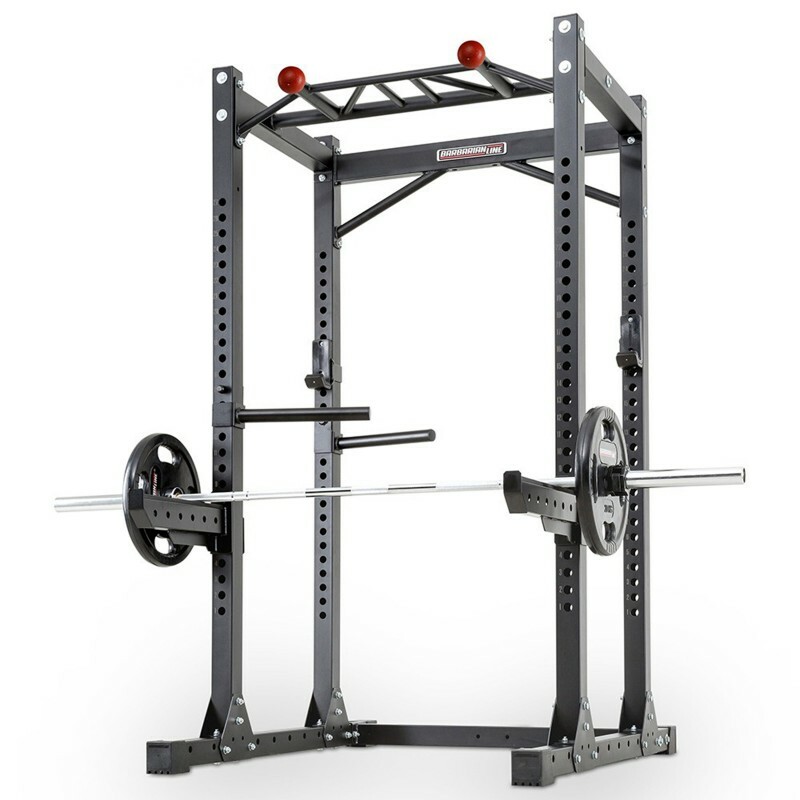 But I think the big point of difference between the Barbarian Commercial Power Cage and the competition, is the option to add on a studio quality lat pulldown/seated row option. In my opinion the move to Cross Fit and pure Strength training has reached its peak. We are starting to see a strong demand for machines again. 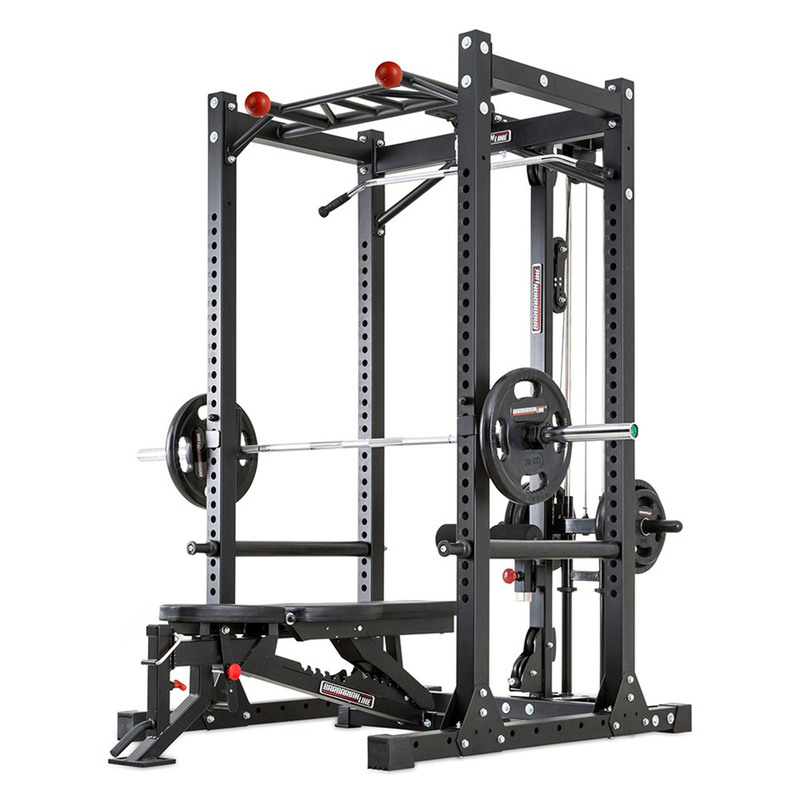 So having the option to add on a quality lat machine to your power rack is a massive bonus, especially when your gym and studio is tight on space. 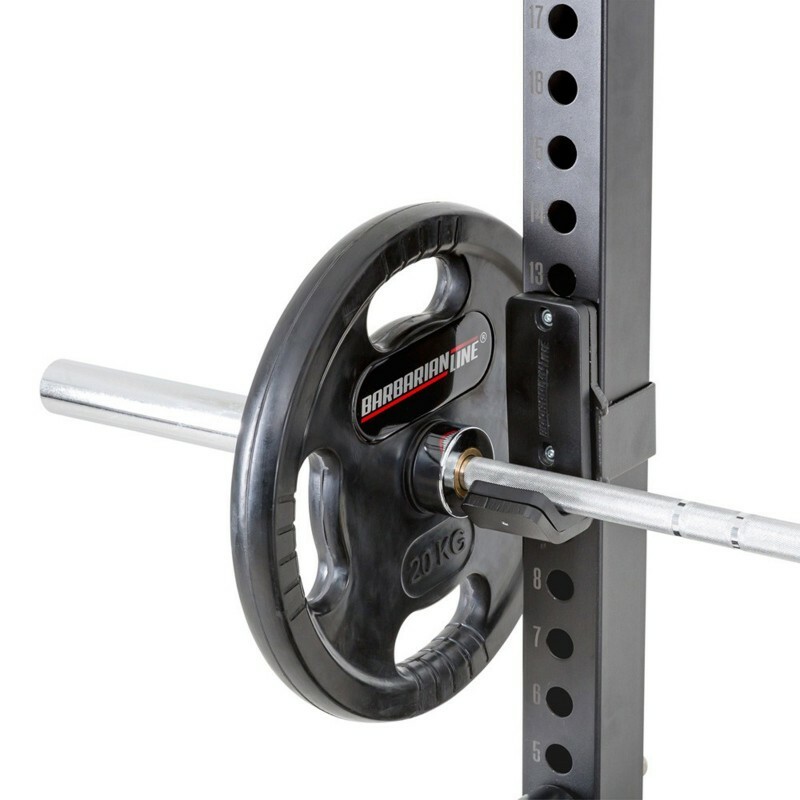 Like the rest of the power cage, the lat pulldown option is of genuine commercial standard. It utilises the same running gear as the Barbarian Lat Pulldowns, so it will take whatever the serious weight lifter can dish out. 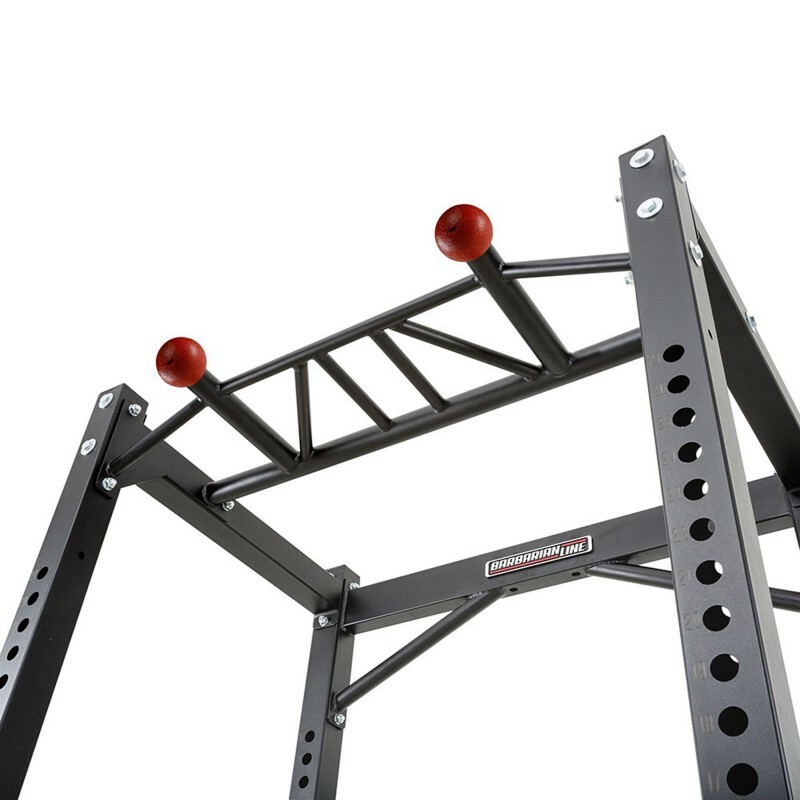 With an optional 125kg weight stack, there is simply nothing on the market that can offer such a package.